Women have a very interesting relationship with clothes and shopping for them. The reality is that they cannot live with it nor can they ever learn to live without it. Considering this, most women would soon find themselves acquiring and hoarding clothes even if the occasion does not really call for it. After all, most of them live by the mantra that you can never have too many clothes and that a little variety would not hurt anyone—at least to the shopaholics anyhow. However, while there is no real harm in buying a piece of clothing or two just to indulge your fancy or give yourself a little reward, hoarding them by the dozens monthly is an entirely different story. There is a big difference between buying a dress or two for this month and accumulating clothes as each week passes. After all, you would not want to be too caught up in abusing your credit card, blowing most of your paycheck alone or borrowing money simply to satisfy your sartorial hoarding urges. If you have already been in a scenario wherein you opened up your credit card statement only to find out that you are way too far over what you had estimated, then it might be high time to reevaluate your shopping habits. Your credit card statement should not constantly shock you and if it does, then try to observe where your shopping whims have gone astray. If a significant amount is solely dedicated to catering to your sartorial shopping whims, then you might want to hold back on clothes shopping for a while. In the endeavor of ceasing your shopping excursions, you will find that you would learn quite a lot and some of them can be potentially cathartic. They do not call it retail therapy after all. Regardless of whether your shopping preferences are whether cheap wholesale clothing or retail, you will still inevitably be spending money. It matters not whether the need for shopping is there or not, when you have had that taste of clothes shopping, it can be rather easy to get addicted. Unfortunately, avoiding malls, boutiques and shops would not be much help. If you have internet connection, temptation will creep up to you as an online ad. It is not really something you notice immediately, and the change can be a bit subtle. But within the first month of not buying any clothes, your credit card statement would look a lot like something you could realistically afford to pay. This would mean more savings for you and resultantly, a meatier bank account. Sure, you may think that the clothes you buy tend to be basic and do not really cost much. But while one or two would not really chip away at your bank account, accumulating two or three every week can easily stack up. Imagine the times you had to reject your friends’ offers in dining out just because you had spent over your credit limit. Now, that would be a thing of the past as saving money on clothes means that you have more money to spend on other things such as dinners with friends, occasional drinks at the bar or even treating your significant other out to date. While it might not seem like it to you now, the memories you would make and the relationships you would cultivate would be worth so much more than the branded pair of stilettos you buy off of the mall. You will find that actively avoiding shopping for clothes would give you more time to do things you would not usually do. You might even find yourself gravitating towards these things and looking forward to doing them. In actively trying to avoid purchasing clothes, you might find yourself seeing more of your friends or even taking a spin class. Sure, you might argue that shopping can be a social event which you can do with other people as well. 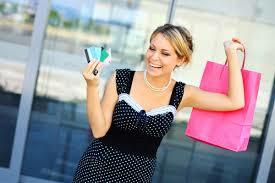 But when you are indulging a shopping addiction, you tend to do most of your purchasing excursions alone. Going on a self-imposed sartorial shopping diet means you are constrained to the things left in your closet. Inevitably, this would mean you have to reunite with the old things you used to never wear. In a sense, it would renew your relationship with your old clothes and make you realize what made you fall for them in the fall place. Moreover, this gives you the avenue to reorganize your closet and purge it of the unnecessary things you might have bought. In a sense, you would be effectively hitting two birds with one stone: Cleaning out your closet and rediscovering your love for your old clothes. Who knows? You might even find yourself having that same panache for wearing your once-loved clothes. Tin the organization of your closet, you will inevitably come across clothes that were once worn by the ghost of former you. At one point, you might have found these ensembles trendy and haute couture but looking at them now makes you cringe. In fact, it might even make you wonder what made you buy them in the first place. Not to worry, we all go through that phase anyhow. What is more important is that you have cleared your wardrobe out of that abomination and made it a point never to hoard unnecessary clothes that are considered to be “in season” or trendy ever again. While going on a self-imposed sartorial shopping abstinence can be a little challenging—especially if you are used to accumulating so many articles of clothing in your life—it is doable. Moreover, it is worth every cent or dollar you will ever save. You might not see instantaneous results, but once you do, you might just find yourself never wanting to go back to that kind of lifestyle again. After all, while a girl can never have too many clothes, a girl needs to know her credit limit as well.